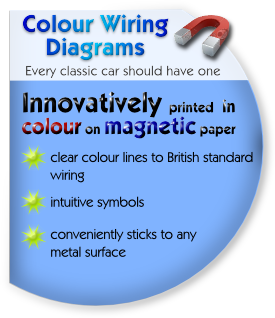 We are the creators of Classic TecSpec (technical specification books) & Magnetic Colour Wiring Diagrams for British Classic Cars. 1 Framebook UK Limited complies with the principles of the Data Protection Act 1998 when dealing with all data received from visitors to the site. 8 We may however share commercial and technical data with our partners where a customer has accessed and used our website via a site belonging to one of our partners. However, such information will also be subject to our partners’ privacy policies. 13 All emails sent by us will be clearly marked as originating from us. All such emails will also include clear instructions on how unsubscribe from our email service and any future emails. Such instructions will either include a link to a page to unsubscribe or a valid email address to which you should reply, with “unsubscribe” as the email subject heading. Terms and conditions of use and sale. 7.1 Under the Consumer Protection (Distance Selling) Regulations 2000 you have a right to cancel your purchase. However, to exercise this right you must notify us in writing, (email or letter) within thirty working days from the day after you receive your goods. No right of cancellation exists for downloaded goods or “softcopy” to which you, the customer has instant access to or use of, unless defective. Where a Customer experiences a fault with a product it can be returned to Framebook UK Limited, subject to our returns policy above. Framebook UK Limited shall not be liable for delay or failure to perform any obligation under these Terms & Conditions if the delay or failure is caused by any circumstances beyond our reasonable control, including, but not limited to, acts of god, war, civil disorder or industrial dispute. 11.1 Framebook UK Limited grants you a licence to access the content, information and services contained within our website for personal use only. 12.1 All content, databases, graphics, buttons, icons, logos, layouts and look & feel are the copyright of Framebook UK Limited, unless expressly acknowledged as otherwise. 13.1 Framebook UK Limited will be liable for any losses incurred by you due to breaches of these Terms & Conditions by us, where such losses were reasonably foreseeable at the time the contract between you and us was made. 13.3 Framebook UK Limited does not exclude or limit liability for death or personal injury caused by the negligence or breach of duty by us, our employees or officers. Failure by Framebook UK Limited to enforce any accrued rights under these Terms & Conditions is not to be taken as or deemed to be a waiver of those rights unless we acknowledge the waiver in writing. These Terms & Conditions set out the entire agreement and understanding between you and Framebook UK Limited. We reserve the right to change these Terms & Conditions at any time, without giving notice to you.